Not too long ago, it seemed that torrent sites would disappear in just a few years because of the pressure put on them by copyright watchdogs. Fortunately for all fans of peer-to-peer file sharing, that never happened, and the torrent scene is as healthy as ever. To show you what options are out there in 2019, we’ve put together this concise list of the top 7 most popular torrent sites. If you ask a random person to name a torrent site, there’s a high chance that they’ll pick The Pirate Bay. This almost iconic torrent tracker is home to pirates from around the world, who share its vision of a free internet where content is shared without any restrictions, allowing knowledge and ideas to spread even to the poorest countries. As a general-purpose torrent tracker, The Pirate Bay offers something for everyone. 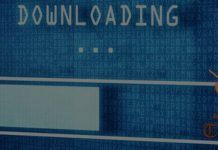 The site has never been overly selective about its content, so you may stumble upon fake torrents and malware, which is why you need to be extra careful before you download anything. 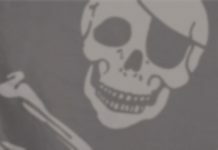 1337x is a polished torrent site that’s rarely down, which is something that can’t be said about The Pirate Bay. Its main domain should be accessible even without a VPN, but 1337x also has several alternative domains ready should the worst happen. With a good adblock, 1337x almost doesn’t feel like a torrent site because there are absolutely no annoying ads and popups to ruin the experience. Just keep in mind that 1337x relies on ad revenue, so it’s a good idea to make a Bitcoin donation from time to time if you decide to go the adblock route. RARBG is a curated torrent site where you can download just about any torrent and know that it’s legitimate and not infected with malware. The site even has its own release group, which focuses on current TV shows. Users of RARBG typically seed torrents for as long as possible, so even older torrents don’t take forever to download. The site itself feels extremely responsive, but you should be ready for the occasional pop-up window.Adult content is also present on the site if that’s your thing, but you can easily avoid it. Torrentz2 differs from all other torrent sites featured in this article because it doesn’t actually host any torrents on its servers. Instead, Torrentz2 pulls torrents from other torrent sites (including The Pirate Bay, 1337x, Nyaa, TorLock, and many others) and presents them in one place, making it great for finding obscure torrents with just a couple of seeds. Nyaa focuses on East Asian content, particularly anime and Japanese video games. The site has been around for many years, but several of its domain names were deactivated and replaced by the current domain name. Despite how niche Nyaa is, most torrents that can be found on the site have many seeds, and download speeds are not too bad either. Nyaa has a sister site called Sukebei, which is a Japanese word that means “pervert.” As its name suggests, Sukebei is home to Japanese adult games and movies, and you can access it by clicking on the “Fap” button located in the top menu of Nyaa. 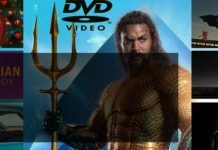 Zooqle is an up and coming Russian torrent site that provides a more curated alternative to The Pirate Bay and other major Western torrent trackers. Zooqle has a modern user interface that makes it very easy to find new and trending torrents alike, and everything indicates that it could become the new go-to destination for torrent users around the world. At the moment, the site is available only in Russian and English, but more languages are to come in the near future. RuTracker is the largest Russian torrent site, and it’s also one of the largest torrent sites in the world. Even though the site is mostly in Russian, you can easily use it with Google Translator. Apart from a mind-blowing collection of content from Eastern Europe, RuTracker also has everything Western torrent users could ask for, including games, software, music, movies, TV shows, and other content. Unlike The Pirate Bay, RuTracker is a semi-private torrent tracker, which means that you need to create a user account before you can use it. The good news is that anyone can create a user account for free, and you can even use a temporary email address if you want to. As you probably know, torrents are perfectly legal. In fact, some of the largest companies in the world use them to distribute files. But just like every tool in the world, torrents can be used for both good and evil. The problem is that it’s very difficult to know which torrents are legal and which are not. Many aspiring artists publish their work on major torrent sites to get exposure, but the same sites also have copyrighted movies and music created by artists who would never agree to have their work shared with the whole world for free. Unless you want to receive a nasty letter from your internet service provider for downloading a copyrighted torrent by mistake, you should protect your online activity with a VPN service like NordVPN. A VPN creates an encrypted tunnel through which you can connect to any website in the world without anyone knowing about it. From the point of your internet service provider, you’re just sending and receiving random packets of data, instead of specific files. 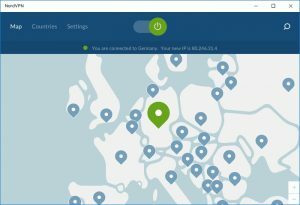 Because VPN providers like NordVPN have servers in many countries around the world, users can use them to bypass geo-restrictions and access content that would otherwise be inaccessible in your country. NordVPN is among the best in this regard because it operates a massive network of over 5,200 servers located in 62 countries. With a single NordVPN account, you can secure up to 6 devices at the same time, making it well worth its already affordable price. Previous articleWhat is The Pirate Bay (TPB)?